This Christmas our house is decorated in gold. 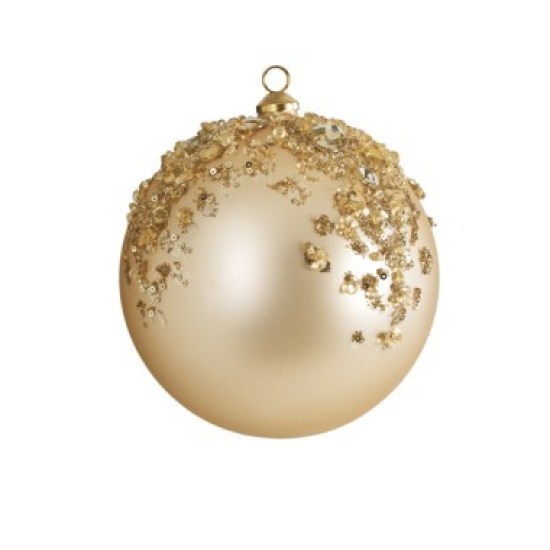 Small golden balls are laying at the table, in the candleholder, and hanging in the window. Sometimes I get such a need for beauty in my life! Together with the golden balls I have laid cinnamonsticks. Ordinary cinnamon., but fragrant. Ordinary daily fragrance mixed with the golden luxuary beauty. We all have beuaty all around us – in the luxuary and in the ordinary – it´s just up to us to see it! Did you know that one of Job´s daugthers got the name Cinnamonflower? 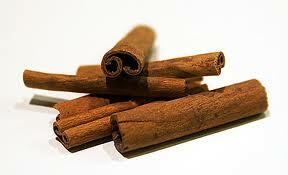 Cinnamon is mentioned several times in the Bible, often together with myrrh. In the Song of Songs the man describes the woman as a garden with sweetsmelling trees, among them the cinnamontree. And in Exodus God tells Moses to prepare a holy oil of cinnamon and other spices to annoint the tabernacle and those who were going to minister there. When the cinnamon found it´s way to Sweden in the 14th century it was regarded as a luxuary – but now we see it as a natural ingredient in our baking and cooking.. Natural, but still soo tasty and fragrant. In Thailand there is so much beuaty, but often hidden behind big promotion signs, noisy music, electrical cords hanging all over, noisy cars, motorbikes and ACs. So many noisy and messy impressions disturb us and make us tired. My eyes are constantly looking out for beuaty and my ears are constantly longing for silence. Maybe that´s why I am longing so much for Sweden once in a while. When I was skyping Judit yesterday she turned the computer so I could see the snowstorm and the midwinterdarkness of Sweden, and I realized that I really miss that! Might be hard for Swedish people to understand that, as they are constantly longing for sun and warmth, but our needs are different depending on where we are living! Both moments of golden beauty and daily fragrance are parts of the lives we live. Golden moments for us during this past year have been each moment we have had together with our grown up kids – Timmy and his girlfriend Sofie visited us in February, Judit and her boyfriend Alexander visited us in October, and in some days Anika will come to celebrate Christmas with us! And each moment we had with them this past summer – in Sofies cabin in the archipelago of Stockholm, in Anikas appartment on an attic in Norrköping, in our home in Mariestad, and with extended family at the campsite outside of our town. And our trip to Norway with Judit, Lydia and Josua, to high mountains, mighty sea, fjords and puffins. And so the other journeys: Ottos and Josuas journey to Japan, Ulrikas and Ottos journeys on their own to Sweden in March and May which also gave us special time with our Dads, Ulrikas travels to Malaysia and Singapore to teach about Member Care, Ottos travels to Burma to celebrate the 100 years of the Karen Baptist Convention and the 200 years since the first missionary came to Burma. We often experience the fragrance in the midst of our daily lives. Spending time together at the dinnertable, a morningwalk around the dam, a piece of chocolate, a holy moment during a counseling session that helps a person to move on in life, our house full of guests who have came to share a meal and play some games, a dark night in a village with a sky full of stars, the eyes of a participant in a workshop when she discovers something new about herself and her life, a moment of prayer with a friend, the thankfulness of the participants in the Swedish group who came and visited us. For Josua it is to be a student at CMIS and to ride his bike on his own wherever he needs to go, and for Lydia to date her boyfriend with a picnic in the parc – and the day when she finally got her braces off! The Wise Men are coming with both gold and spices. Gold to crown the King. Spices to worship Him. The feast of the crowning, combined with the worship in the midst of the daily life. Each year there is a gift fair in our area. 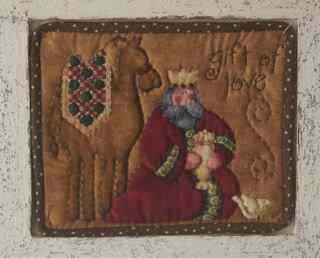 Normally I don´t find very much that is Chrstimasy, but this year I found some pictures of the Three Wise Men. 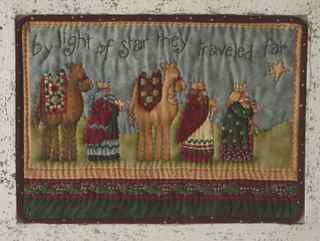 ”By light of star they traveled far”, and the other one has the title ”Gift of love”. Their gifts of gold and spices were gifts of love, that they had carried far. The value of the gifts were not mainly in their worth or usefulness, it was in the love they were brought and given with. It seems like each year of my life has a theme, often given to me by a book. My theme for this year has been out from a book with the title ”Healing the Purpose of Your Life”. The book explains that the answer to the question ”What is the purpose of my life?” will be answered through the answer of the question ”What is my unique way of loving?” We all came to this world with our own very unique way of giving love. But also with our own very unique way of recieving love. So I also need to ask myself: ”What is my unique way of recieving love?” The love gift of the Wise Men were gold and spices. What is my love gift to Jesus and to the world? And what gift is it Jesus wants to give to me, maybe through others? I can very much identify with the Wise Men right now. Each evening I am looking up to the sky to search for the star that will lead us westward, in June – to Sweden, but to what? Into what contexts and challenges does Gods star want to lead us? It is so easy to, like the Wise Men, make assumptions and walk on in a direction that looks good but that might not be the right one. But our prayer is that we will be able to focus on the star and find the stable, not the palace. Find the place where we can offer our gifts. Find the place where we can also receive His love for us. A context where we can love and worship. I just realized that none of the seven of us knows for sure where he or she will be in the fall of 2014. Myself and Otto have no jobs yet. Our grown up kids – Anika who is studying in Norrköping, Timothy who is working in a daycare for children in Stockholm, and Judit who is subing in schools in Mariestad – none of them knows for sure what the coming year will bring to them. Lydia is applying for colleges in the US, but doesn´t know yet if she will be accepted and if she will get enough of scholarships. And Josua – yes he knows that he will study grade 8 in Mariestad, but not sure yet of which school. 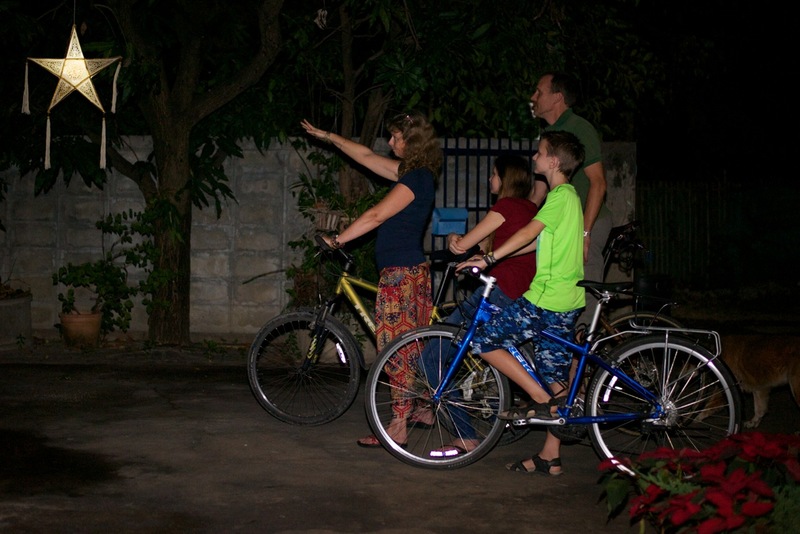 Yes, we need to keep our eyes on the star! It will lead us! As for the Wise Men, part of our journey will go through the desert – that heavy, and hot, passage that we just have to go through. Packing, selling, making all these decisions, asking all these questions, saying all these goodbyes. Heavy, sad emotions, but also excitement and expectation when thinking about what might be around the corner. And hopefully we will find some oasis on our way that can offer some rest and joy. Lydias graduation in June will for sure be such an oasis! You might not be on your way westward, but there is a star for each one of us to lead us in the right direction. Sometimes we need to stay in the darkness for a while until we can see the star clearly. Don´t be afraid. Trust that it will lead you. Meanwhile, ask yourself what your gifts of love are. What is your unique way of giving love? And open your hands to receive the gifts of love that Someone is waiting to offer you! Gold and Cinnamon. The beuaty of luxuary and fragrance of daily life. They are there for you!